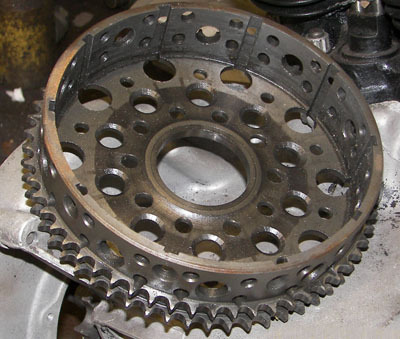 I thought I would start off by showing you a picture of the clutch drum, which has been drilled (by a previous owner) to lighten it. Someone put a lot of time and effort into this. Thanks. 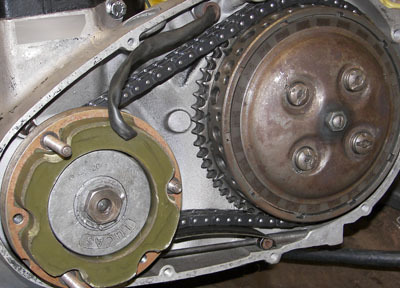 I have added a four spring clutch center and pressure plate during the rebuild. These were fitted to the early pre-unit Triumph's, I have used them on most of my bonnie's, I find it makes them easer to set up and they don't slip with the extra power going through them. 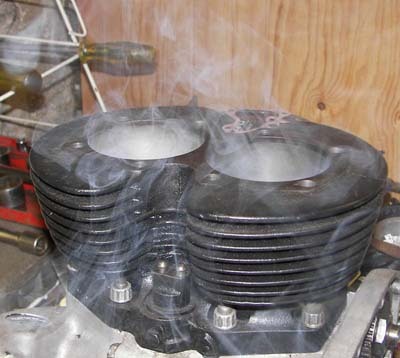 I set up the timing disc at Top-Dead-Center (TDC), the pistons look massive, I never ran bonnie's with this size of piston before, I think they are 12:1 compression, I usually use 10:1 for a compromise between reliability verses power. I think the standard 750's ran 8.5:1. The problem I knew I was going to face was the camshafts lift, and the duration of the lift. 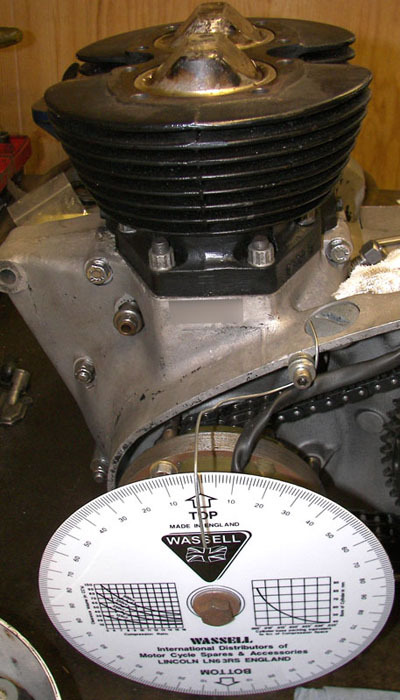 I went onto MegaCycles web site and downloaded the spec for their cams, the problem was that the camshafts fitted to this engine, the part numbers didn't' correspond with the spec on their site. So I had to work it out myself ie. how long the valve life duration is and how high the lift, I compared this data with their spec on the cams and hey-presto I now had the valve timing spec. Both are full-race camshafts but with different profiles. 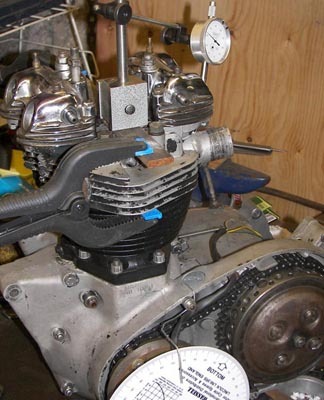 The valves are open for a very long time, clearance (with the pistons) is very close. One thing I'm sure of, this engine will be "SMOKIN"